I have spent a few day's now trying out things suggested on various SO posts but have not been able to figure this out. I'm probably looking right at the issue! I am making a switch over from Android to iOS and seem to be having some trouble with autolayout. 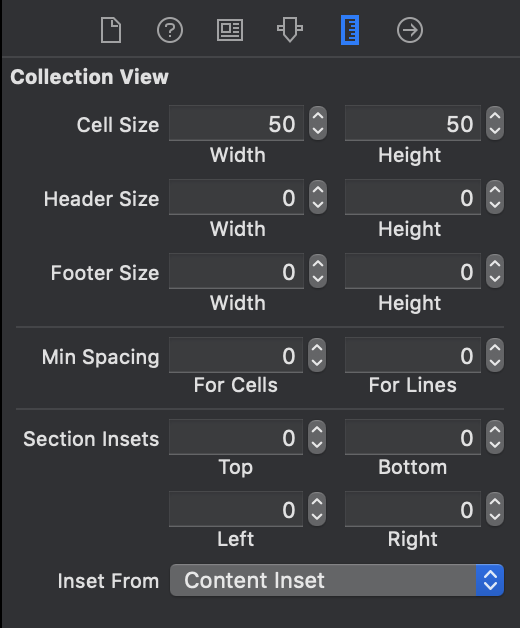 Specifically, getting the UICollectionView to resize to the height of its content. Each collection view can have a different cell size based on its content but the cell size will be the same for each item on a given row. The UICollectionView is nested inside a UITableViewCell. The UITableViewCells appear to be resizing to its content height correctly and looking at the Debug View Hierarrchy the issue seems to be the UICollectionView. I have created a mini demo and put it on this github (link below). I have thrown in a bunch of test data so the bottom part of the ViewController VC is a bit messy. The demo just illistrates how each row can have different content size. There can be several table rows of the same style. NOTE: I had to add the following line to CategoryRowCell.swift in order for me to get the below screen shots. 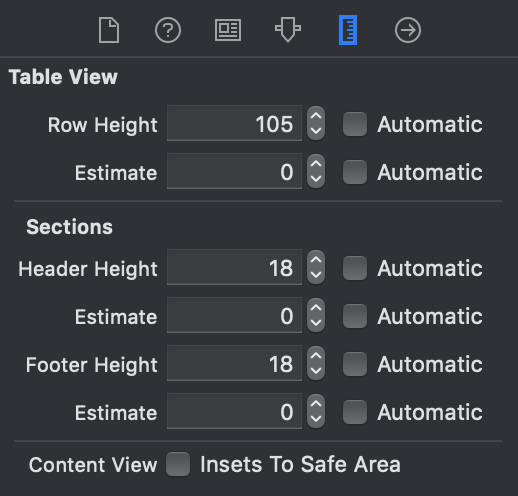 Without this line the UICollectionView height becomes 0! So here is what it looks like right now..
Notice the gaps at the top and bottom of the horizontal lists. Here is what i am expecting.. Here is part of the debug view hierarchy. You will see that the collection view already has top and bottom margins (good), but the red lines show the excess height being applied to the collection view. The green line indicates the height i am expecting. I am wanted the collection view to have a height of its content. I think it would be better to do it the other way around, having the UICollectionView as the parent and UITableView as the child. Since the first is more flexible and customizable. Not the answer you're looking for? Browse other questions tagged ios swift uitableview uicollectionview autolayout or ask your own question. 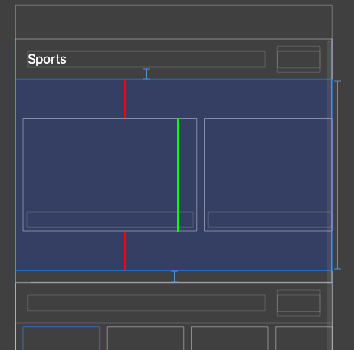 How to set cell spacing and UICollectionView - UICollectionViewFlowLayout size ratio?